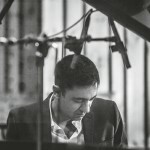 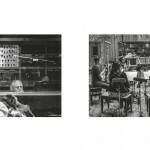 Mutations is Vijay Iyer’s first album as a leader for the ECM label, and a recording that will widen perceptions of the pianist-composer’s work. 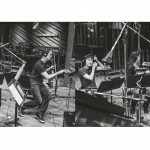 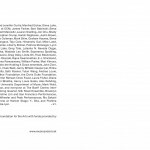 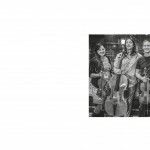 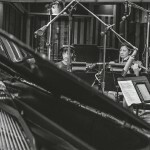 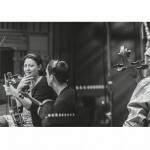 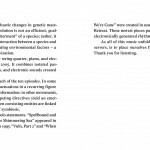 At its center is “Mutations I-X”, a composition scored for piano, electronics, and a string quartet, featuring Miranda Cuckson and Michi Wiancko (violin), Kyle Armbrust (viola), and Kivie Cahn-Lipman (cello). 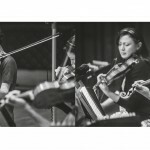 A major piece built out of cells and fragments, it veers through many atmospheres, from moment to moment propulsive, enveloping, lyrical, luminescent, and strangely beautiful. 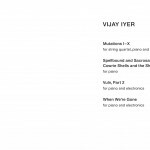 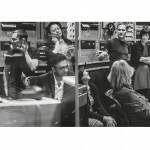 Through thematic interactivity, the interweaving of acoustic and electronic sound-textures, and some decisive improvisational interventions in notated music, Vijay Iyer has created a multi-faceted suite whose very subject is change. 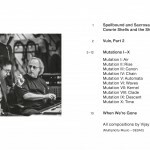 Iyer gives a positive value to the concept of ‘mutation’ in this music, and variously appears in it as an interpreter of notated elements, as an improviser, and as “a sort of laptop artist, mixing in noise and different sounds,” encouraging the transformative processes: The suite is framed by three solo statements: “Spellbound and Sacrosanct, Cowrie Shells and the Shimmering Sea,” a solo piano reading of one of Iyer’s early compositions, and “Vuln, Part 2” and “When We’re Gone,” pieces created in summer 2013. 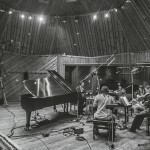 The newer compositions put the piano in counterpoint with electronically generated rhythms and textures which extend the aura of the suite, making the arc of the whole album a journey over changing terrain.